Notes: Designed by Tim Fox in 1990 for use on the lower Sacramento. Tim is the Manager of The Fly Shop in Redding, CA. 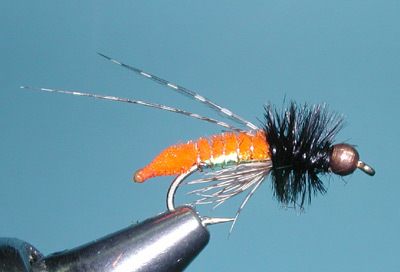 The Poopah has received widespread recognition as an excellent caddis pupa pattern and is used extensively throughout Sierra Nevada streams. Tim utilized vernille for a tapered body and a pearl tinsel for the underbody. The most popular colors are Tan and Olive in a size 14. Vernille is marketed under a number of different names such as Ultra Chenille and Micro Chenille. A bead is often added to give the pattern some ability to go deep into the water column. As a pupa, however, the natural will rise up through the column and this is where the trout focus on this pattern. Most of the Poopahs are tied on a TMC 2302, a 2XL hook with a light bend. The micro sizes are more often tied with a TMC 3769 which is a 2X heavy nymph hook. Select the color and size of Poopah from what is happening within the stream or creek. 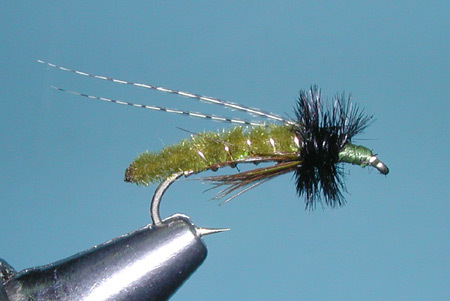 BH Olive Poopahs are a good choice for the Spotted Sedge caddis. 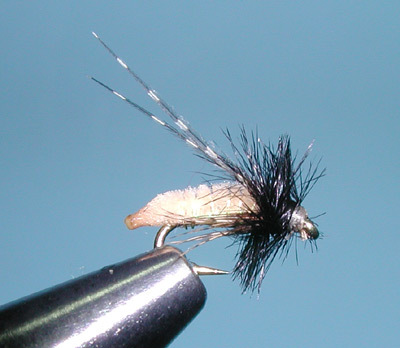 Try the Micro sizes for smaller caddis pupa during the later half of the Summer. Springtime Poopah is a good choice for the Grannom or Brachycentrus caddis and a Tan Poopah does a good job for Saddle Case Caddis (Glossosoma). The fly is best fished as a dead drift with 4-6 feet of tippet using a stack cast method and feeding line. Guides also recommend using a micro mayfly pattern behind it. 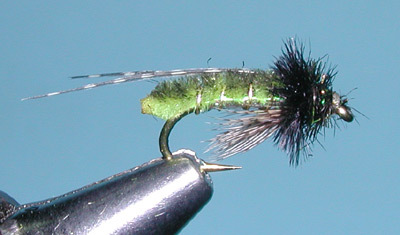 Harry Mason has an excellent tutorial on this fly at his website at www.troutflies.com .